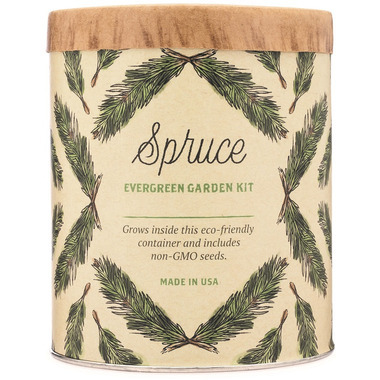 All-inclusive White Spruce indoor grow kit packaged in a wax-coated and water-tight recycled paper tube planter. This species of spruce is native to the northern part of North America and a favorite Christmas tree variety. Kit includes: self-watering system that provides plants with the perfect balance of water, nutrients and oxygen.